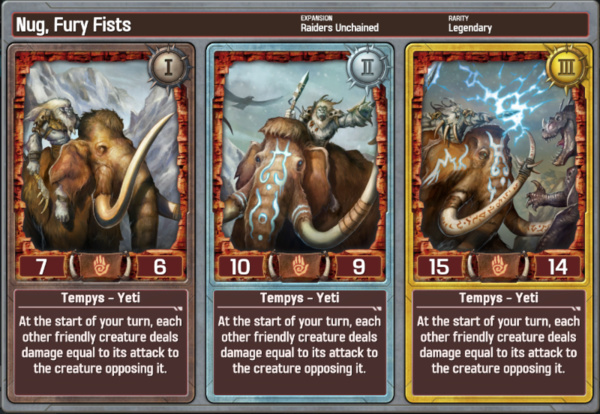 Despite spending over a year in development, last month’s launch of the brand-new Solforge client didn’t go as smoothly as planned with a number of unforseen server errors and other issues. 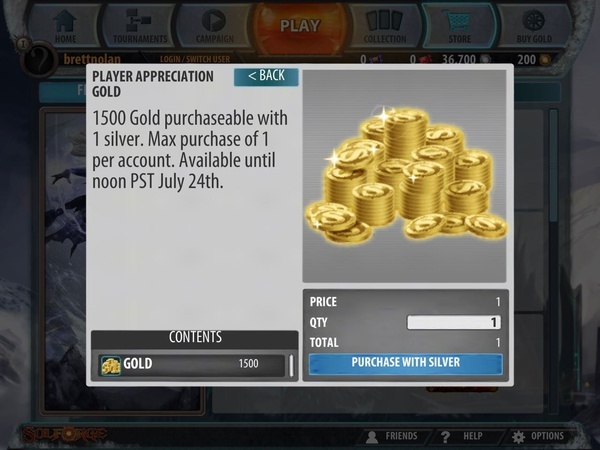 Stone Blade Entertainment’s CEO Justin Gary issued a personal apology and to make up for the problems he launched a special promotion offering 1500 free gold (the game’s premium currency) to any player who logs into the app within a specified 48 hour window. There are less than 12 hours left in the promotion, so if you haven’t done so already, you are going to want to launch your Solforge app, log in and purchase the special 1500 Gold pack for one silver (earned just by logging in). Make sure to take advantage of this generous offer SOON! Use your free gold to get newly release Raiders Unchained cards, enter tournaments, or on whatever else you’d like. Plus it’s worth noting that any cards purchased with gold can also be shared with your friends, “so reach out and turn that 1500 gold into an effect 3000 by sharing with a buddy”. Remember you only have until noon PST on Sunday July 24th to take advantage of this deal!.